The Council on Foreign Relations (CFR) recently published a disease map purporting to show that disease outbreaks are the fault of the unvaccinated. While the mainstream media like PBS ran the story, they missed the fact that the CFR map shows the highest disease outbreaks in the most-vaccinated populations. Right off, and at the very beginning, I say this article will cause rumblings and a stir amongst many, if not all, on both sides of the vaccine safety issue, especially with vaccine apologists. My reason for saying that is because what I discuss is strictly my evaluation of the interactive data map showing communicable infectious diseases globally, as prepared by the Council on Foreign Relations (CFR), which points out some grave problems regarding vaccine statistics, in my opinion. Please study the map before reading on. First, let’s see how many vaccinations were mandated for children in several countries of the western meme according to data available in 2009. Sweden and Japan had 11 vaccines, Finland 12, Norway 13, Switzerland 16, Australia 27, Canada 28, and USA 36. It is safe to say that, if anything, more vaccines have been added to those schedules since 2009, especially the HPV vaccine for both girls and boys. But, for the sake of ‘argument’ and graphics available, I will use the chart below as a reference alongside the CFR’s map. 2. Countries with an inordinate amount of dots are: the USA, the European Union (EU), Australia, New Zealand, Japan, Canada to some extent, plus Equatorial Africa and India where GAVI [Global Alliance for Vaccines and Immunisation] has implemented vaccination campaigns. 3. The South American continent is almost void of any communicable disease dots. Interesting? Wait until some vaccination campaign strategy takes off there. It’s only a matter of time, I’d say. 4. Several countries have no dots representing diseases. 5. China, which often is touted as a growing hotbed of communicable diseases, shows Measles and Other, if I’ve interpreted the color code correctly as Polio and Other are too closely related in colors. Is that color scheme a favorable coincidence? 6. The predominant diseases globally, according to dots on the map, are: Measles and Whooping cough, which are the vaccines children everywhere are vaccinated with. Those countries where vaccines are given routinely or forced upon children and their parents, often under threat of law, experience the lion’s share of communicable diseases. Why? What’s happened with “herd immunity”? This report summarizes vaccination coverage from 48 states and DC and exemption rates from 49 states and DC for children entering kindergarten for the 2012–13 school year. Forty-eight states and DC reported vaccination coverage, with medians of 94.5% for 2 doses of measles, mumps, and rubella (MMR) vaccine; 95.1% for local requirements for diphtheria, tetanus toxoid, and acellular pertussis (DtaP) vaccination; and 93.8% for 2 doses of varicella vaccine among awardees with a 2-dose requirement. Take a look at those vaccination percentage rates: 94.5% for MMR, 95.1% for DtaP and 93.8% for chickenpox (varicella), and still there are outbreaks of measles and pertussis. There IS something dramatically wrong with vaccines and their effectiveness, I contend, if that number of children is an example of vaccination rates in the USA that can be interpolated for comparisons of vaccinated versus non-vaccinated. Furthermore, only a medium total of 1.8% was exempt from vaccinations. Question: Is 1.8% a high exemption level? I don’t think so, as it falls well within the 5% target range of exemptions for non-vaccinated as found in Healthy People 2020. The CDC/FDA, medicine, pharmacology, and vaccinology, in particular, are dead wrong regarding vaccines, I do believe. The more children receive vaccines and boosters, undoubtedly, the more communicable infectious diseases are surfacing. What does the CFR map tell? 1. Vaccines aren’t working and cause immune dysfunction. 2. Vaccines are damaging the immune system so much that it cannot function as Nature intended and designed due to vaccine antigen responses that undoubtedly are reprogramming it. “There are currently eight species in the Bordetella genus. Three species in this genus are known to be pathogenic to humans. B. pertussis and B. parapertussis are very similar species. Both species cause pertussis (whooping cough) in humans and are separated merely by the toxins they release during infection. 4. A large percentage of vaccinated children in the USA now experience some form of illness or disease that is NOT a communicable disease, which manifests either as chronic or neurological. The new ‘official autism’ numbers were released minutes ago by the Centers for Disease Control and Prevention, 1 in 68 among all eight-year olds evaluated in 2010, 1 in 42 boys, and 1 in 189 girls, more than a million children. The last time the CDC released these numbers in 2010 the numbers were 1 in 88, and 1 in 54 boys. Undoubtedly the real numbers today are much higher than this 4-year old data. Along with that information, a request came to call the White House (202) 456-1111 and ask President Obama what is he going to do about it. Somehow to me, their figures don’t seem to be coherent. Don’t they know what they are doing, or is it on purpose to add confusion to the issue? The sad part, though, is that no one is investigating correlation and causation with regard to the inordinate number of vaccines prescribed during the first two years of life starting at birth! B. Even if non-vaccinated children were responsible for spreading those diseases, how come fully-vaccinated children and other vaccinees are contracting the very diseases for which they have been vaccinated IF vaccines were efficacious? Current disease-contracting statistics prove just how false the vaccine paradigm truly is! Scare tactics are employed to vaccinate, whereas vaccines fail those vaccinated! How does that make sense? C. As an example, the charts below indicate the factual reality of vaccinated versus non-vaccinated health status of children in the first five years of life in the Netherlands (2004), one of the countries that make up the European Union. You can see on the CFR map that measles is a dot in that EU geographical location. In the charts we see dramatic contrasts for ear infections, inflammations of the throat, aggressive behavior, convulsions/collapse, antibiotics administered, sickly, eczema, asthma/chronic lung disease, allergic reactions, and difficulty sleeping. The charts indicate that vaccinated children are twice as likely – or more – as non-vaccinated children to experience the health problems enumerated in the charts. The information offered by the CFR map is rather significant and I think speaks for itself, i.e., the more vaccinated the population, the more likely to contract the very diseases for which they are vaccinated. How in the name of non-vested-interest-science are they still getting away with such sleight of pseudo-science, together with ruining the human immune system? Just because they say so dogmatically, doesn’t mean it’s factually and scientifically so! 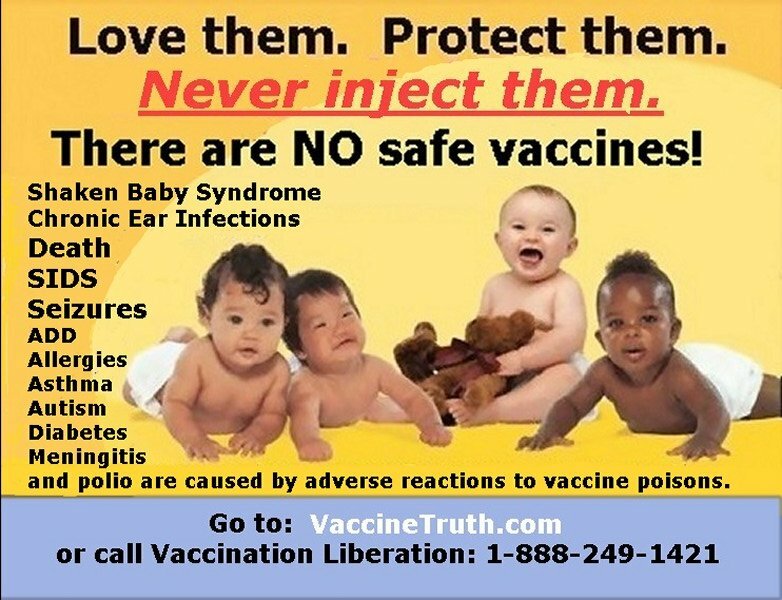 Do your research and learn the real science behind vaccines in order to educate everyone: pediatricians, nurses, schools, health agency personnel at all levels of government, and even Congress, who I contend gave us this vaccine mess by passing The National Childhood Vaccine Injury Act (NCVIA) of 1986 (42 U.S.C. §§ 300aa-1 to 300aa-34). The NCVIA is in desperate need of being revisited, if not repealed, in my opinion. NCVIA gives vaccine makers what some call a “get out of jail free card” that exonerates them of all liability, something no other industry has. Furthermore, with all the health damages and problems vaccines have been causing for now going on two or three generations – see the VAERS reports in the hundreds of thousands – Congress needs to seriously investigate the autism problem, neurotoxic and other toxic vaccine ingredients, and stop taking those handsome monetary gifts from Big Pharma lobbyists that apparently influence their observable lack of oversight, I contend. In 2013, pharmaceutical manufacturers paid out $227.5 Million lobbying on behalf of their products and corporate interests. What does that tell you? Personally, I’d like to see shakeups at all federal and state health agencies regarding vaccinations, their ‘science’ and, most of all, their toxic ingredients. It’s long overdue. CDC Report 65. Changes in Prevalence of Parent-reported Autism Spectrum Disorder in School-aged U.S. Children: 2007 to 2011–2012. Adobe PDF file [PDF – 163 KB] March 2013. Thank you for sharing this information, Dr. Obomsawin.